Hi foodies. Here I came with an outstanding fish recipes for mackerel. 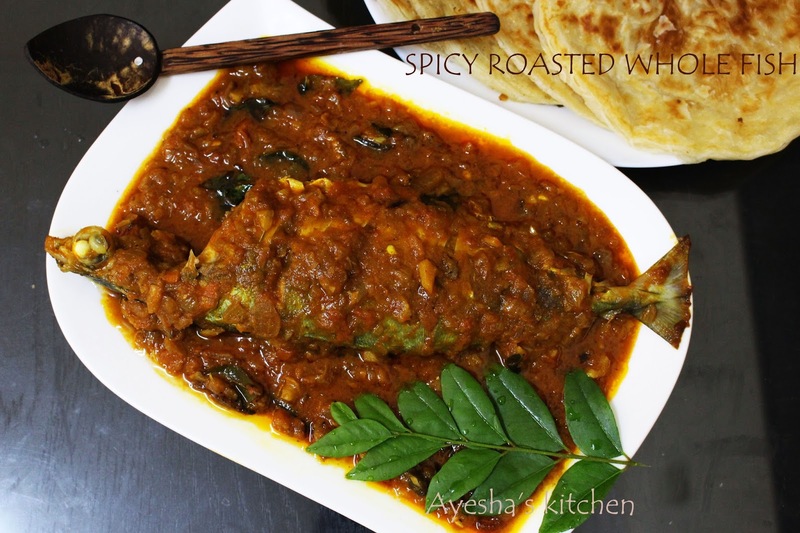 A south Indian Restaurant style whole mackerel fish spicy gravy. 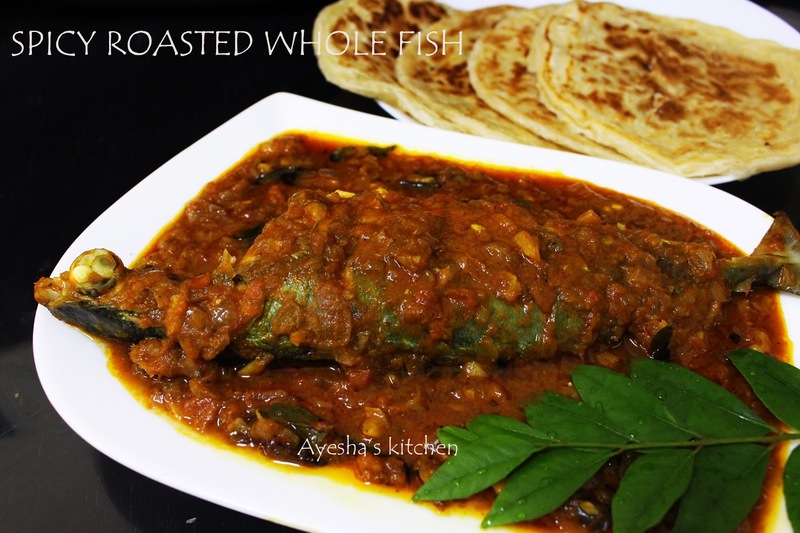 If you are a fish lover, you must try this recipe. A very easy whole fish recipe with only handy ingredients and I guarantee it will not go wrong even in your first trial. Poratta /paratha with spicy fish curry, all-time favorite for most of the people in Kerala, India. Paratha with spicy fish gravy from streetfood/food streets in Kerala is a nostalgic taste when we are away from home. 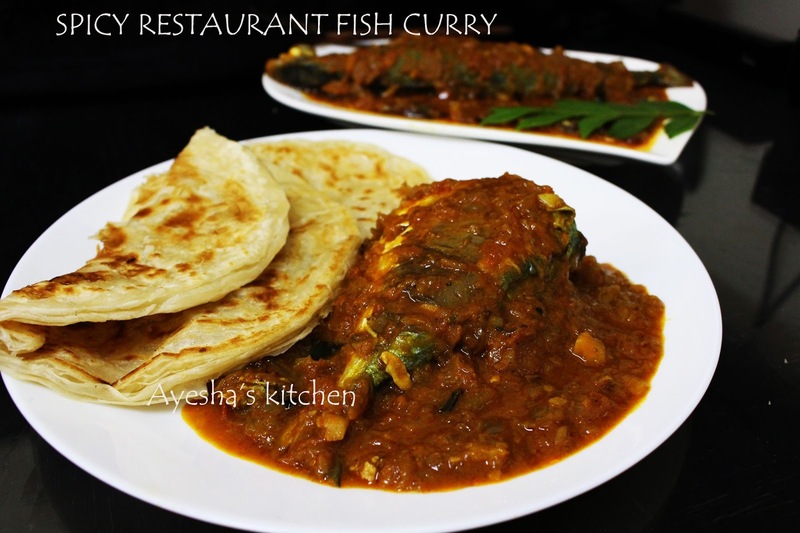 Here, this special curry is a very fine combo with especially Indian parotta / paratha / chapati, I prefer. So try this once and am sure you will crave this more. 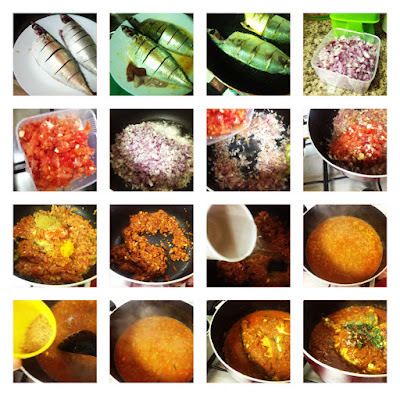 Hope you all love my special recipe with fish / easy fish recipes. 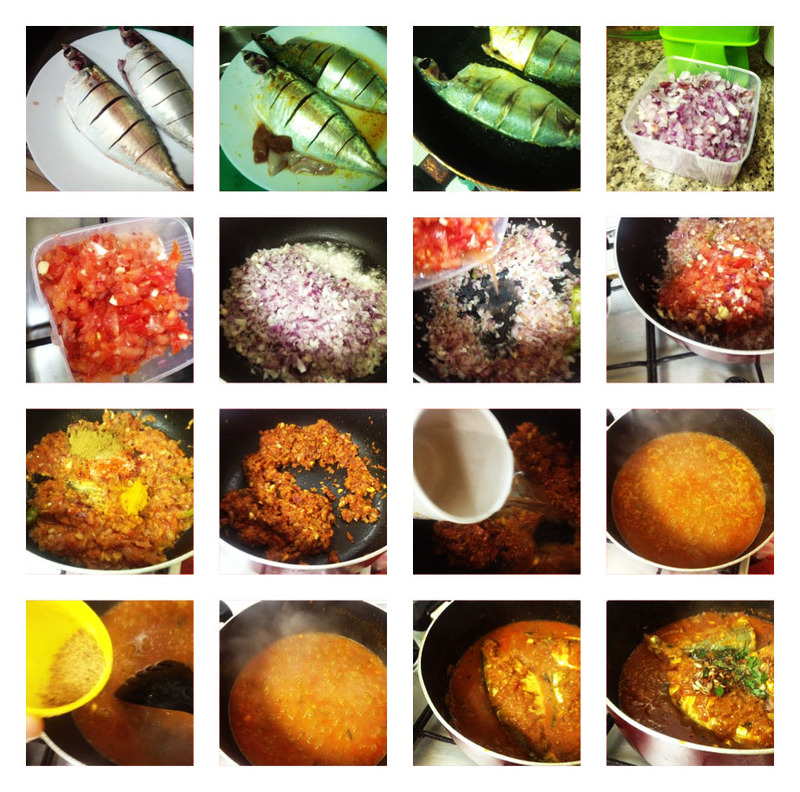 Try this simple fresh mackerel recipes and do let me know how it turns out for you...Enjoy!! Clean the mackerel well and make 4 slits gently on both sides (if it is a big sized mackerel). Marinate it with a pinch turmeric powder and salt. Shallow fry both sides for 3 minutes only on a medium flame. (do not use more oil for shallow frying and do not marinate the fish with more spice. Fry only 3 minutes). Set aside. Heat oil in a nonstick vessel or any deep bottomed vessel. Add finely chopped onion to it and saute until it turns brown. Then add ginger garlic paste, green chili. Saute for few seconds. Now add the chopped and crushed tomatoes (crush it by hand very well in a bowl) and add this with onion and mix well.Close the lid. Let it cook until the oil separates. And now add turmeric powder, coriander powder, Kashmiri chilly powder, and salt to this mixture. Mix well. Let it cook for few minutes. Add 1 cup of hot water and cook until a thick gravy (for 5 minutes). When it boils the oil floats on the top, add fenugreek powder to it and mix very well and then put the half fried fish and again cook for another 5 minutes in a low flame. Rotate the vessel occasionally instead of stirring the gravy. In another pan heat 2 tsp of oil. Add sliced small onion and curry leaves and fry till golden. When done pour this on the top of the fish curry. Serve hot with Indian porotta, poori chappathi, dosa and so on.